An eyelid lift also known as blepharoplasty is a medical procedure to eliminate skin as well as add or remove fat from the eyelids. Although we use the term eyelid lift the eyelid is not raised during surgery. Upper eyelid works by using incisions on the skin to enable elimination of skin and fat. A thin stitch is then employed to bring the skin together to enable an eyelid crease. Eye bag removal can require skin incisions underneath the eyelash line or perhaps an incision within the eyelid known as a transconjunctival technique. This technique enables accessibility of eyelid fat with no noticeable incisions which make this technique ideal for patients who want fat taken out. This process may be coupled with laser resurfacing of your eyelid skin to minimize wrinkles and lines. When you get older, the skin surrounding your eyes loses its elasticity, and the muscular areas end up loose. The skin can turn into loose folds on your upper eyelids and creases under your lower lids can form. Since the muscles become looser, the fat deposits surrounding your eye can also stick out making your lower eyelids seem saggy. Eye bag removal can eliminate the excessive skin together with excess fat from around your eyes. This will give you a younger appearance. Upper eyelid surgery (blepharoplasty) is also performed for those who have droopy overhanging eyelids which impair vision and cause recurrent blinking together with eye weariness. Lower eyelid surgery can also be performed on people who have puffy lower eyelids and bags that may look unsightly and affect self-confidence. Upper eyelid surgery offers the benefits of making you look younger more refreshed and alert. The recovery process is gradual, and you should expect to wait patiently at least for a few weeks to have a definitive picture of the results of your upper eyelid surgery. Incisions will certainly diminish over some months typically turning out to be barely visible. The results of upper eyelid surgery are normally long-lasting. Eliminating fat from your eyelids that is the reason for puffiness and bags is permanent. Although the process of ageing continues, most patients are usually happy with their appearance for many years following surgery. A few patients find that they wish to make additional improvements at a later time. 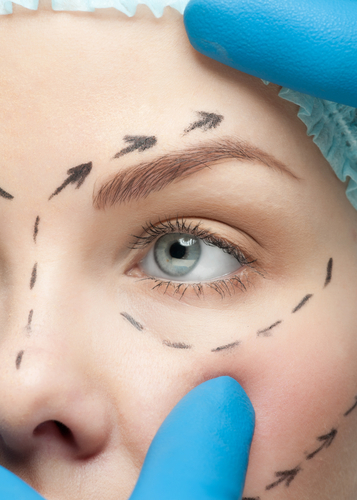 The cost of eyelid surgery varies in the UK. Our prices start from £1,610. Our eyelid surgery cost is the lowest in the UK! 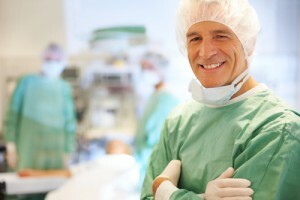 We use great surgeons and have many satisfied customers from all over the UK. Typically patients have a quick recovery time following surgery. Despite the fact that some bruising along with puffiness is generally worse the day after surgery this will rapidly start to fade away. Through the first two days, the usage of cool compresses will help reduce bruising as well as puffiness near the eyes. Gentle exercise including walking may also help accelerate recovery. Bandages are generally positioned over the areas operated on and removed after a few days. The stitches may remain for approximately seven days. Occasionally self-absorbing stitches are utilized which don’t need removing. Most patients resume regular routines after About a week following upper eyelid surgery. Two weeks after surgery most bruising and swelling will have gone.